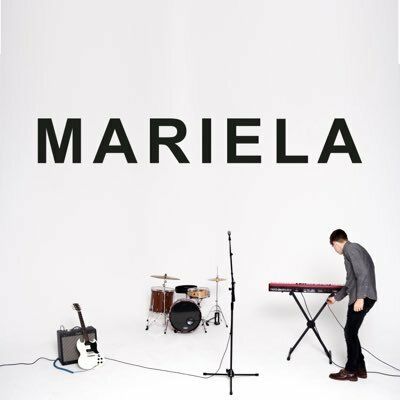 Mariela, the self-titled debut EP from Nashville-based indie rock band Mariela, feels like dancing underneath fairy lights at an outdoor dinner party in the height of summer with your closest friends. A fusion of Such Great Heights and Death Cab for Cutie, the focus of most of the tracks on Mariela are Thomas Harbin's vocals, which have a solid indie rock sound that, paired with echoing or muting effects depending on the track, also have an edge that is both modern and TV-cinematic. Aside from the percussion in "Magic," which really drives forward the jaunty tone of the song, most of the instrumentals act more as a support for the vocals than distinctive features of the songs. The clear and easy-to-follow vocals automatically make the lyrics stand out, while the synthesized effects on some of the tracks keeps them light enough to be fun and sing along catchy. The lyrics themselves aren't groundbreaking, but lines like "Reaching in the dark / hoping I can grab a hold of just a little spark / reaching in the dark / whispering your name when I didn't have the words to start / but I find myself alone" ("Reaching in the Dark") has the same verging-on-indulgent-but-oh-so-satisfying feeling that made songs like Secondhand Serenade's "Fall For You" such hits. Mariela is a solid debut with a sound that isn't entirely unique, but definitely stands out from a lot of contemporaries at the same level in their careers. In only six songs, the EP manages to hit different emotional beats and both catchy up-beat tunes and ballad-like songs, and should definitely be added to your list of albums to check out.